This is again exciting news: The HOPE Gala in Dresden is sold out again – and many requests for tickets are still coming in. It it once again amazing to know that experiencing a great eve and doing good can go a long way together. HOPE Cape Town is delighted as are also the organizers. Two days before the event, I can sense that strains and expectations are rising – and thousands of little things are still to be fixed, organised and put on track. Arriving in Dresden on Tuesday with Fr Wim and meeting some of the supporters and sponsors personally beforehand it is again thrilling for me to experience the goodwill, the enthusiasm and willingness to go the extra mile to make the event a success and to give at the same time hope and future to HIV affected and infected children in South Africa. Meeting Andreas and Katrin Moench – whose wedding in Cape Town was the starting point of the HOPE Gala 2001 in somehow mysterious ways and watching Viola Klein and Michaela Gornickel spearheading every years events is more than just a pleasure – it feels good to see people determined to make a difference year after year. HOPE Cape Town is grateful to all involved by supporting, organizing and attending this years HOPE Gala Dresden – the 9th Gala in Dresden. Thanks from the bottom of my heart and in the name of all who benefit from the solidarity of all involved. 10/25/2013 • 10:43 am Comments Off on Despite the floods.. It is amazing and a blessing: despite the experience of severe flooding in and around Dresden in summer this year and all the suffering and destruction going with it – Dresden is gearing up for the 8th HOPE Gala and the Gala is sold out. Wow, I only can say and humbly salute towards all the people of Dresden. They give an example of refusing to concentrate only on their own plight by still continuing to stand to their commitment to do good also for those far away in South Africa as they have done all the years. The City of Dresden, Saxonia Systems, ParX under the leadership of Viola Klein – they make it happen again and Saturday the red carpet will be rolled out in front of the Schauspielhaus for all attending this event under the umbrella of the HOPE Kapstadt Stiftung. Coming to Dresden feels for me like coming home and it the last years I had the privilege to stay in different marvelous hotels – this year the swissotel in the midst of the old city. Dresden is really worth a travel any time of the year – the world-famous Frauenkirche, the Zwinger and all the museums and historic buildings lovingly restored are making this city a world-class destination. The HOPE Gala Dresden is the result of the love of two people from Dresden, whose knot for life was bound in Cape Town in the early hours of HOPE Cape Town’s existence. The promise to assist the project developed in seven great events which constitute the major fundraiser for HOPE Cape Town Trust. And so, Dresden provides hope, life and future for so many in the Western Cape – people, who never will know each other are connected and committed to this connection. For me, this is a modern miracle and shows, that the term “Global village” can be filled meaningful for the good of the people. I am thrilled to watch the artists performing on Saturday eve “pro bono” – I am thrilled to see the happy face of the lucky winner of a great holiday in South Africa inclusive flights and accommodation or being the new owner of a fashion piece, designed by one of the most famous fashion designer. 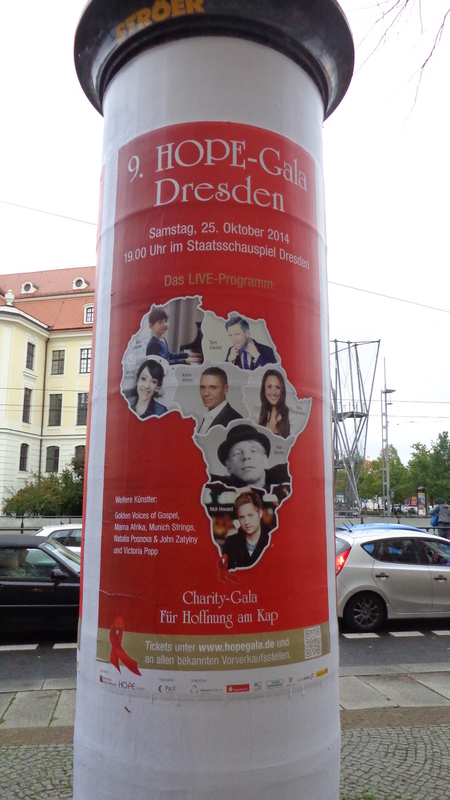 And I am thrilled to fly back to South Africa to tell our people about the generosity of Dresden. And to be able to continue to work for those less fortune @ the Cape of Good HOPE. 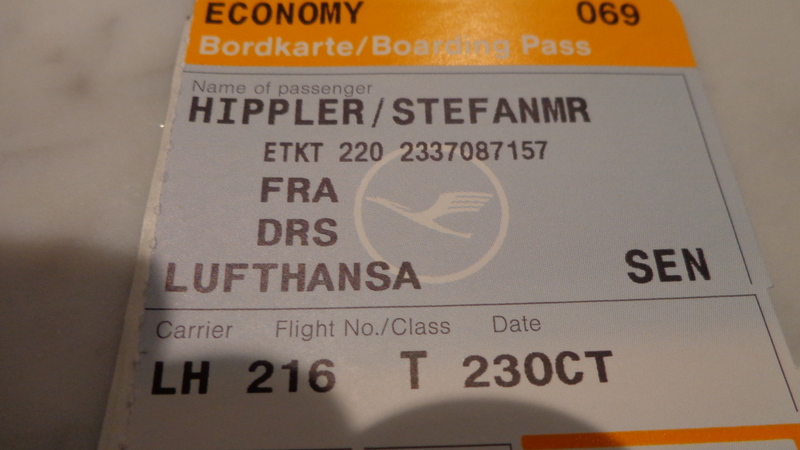 Time again to pack and leave Cape Town for the annual event of the HOPE Gala in Dresden. And this year, it is indeed a special year, where the people of this lovely city pulled together for the Gala after having the devastating floods in spring and battling themselves to get back with their own life. It is with appreciation to note, that despite all the odds the Gala will be once again a festival of good thoughts, helpful hands and lots of fun and joy. Before the HOPE Gala Dresden I will meet with students from my hometown of Bitburg and engage with them in a lively discussion about HIV and AIDS and what brings South Africa and Bitburg together. It is amazing how much support has come and is still coming from my hometown and I could not be more grateful about it. Another blessing for those, living with the virus here in South Africa. Berlin and Munich are the other big cities to meet and greet sponsors, supporters and to attend the Festliche AIDS Gala of the German AIDS Foundation. They are such a strong partner for HOPE Cape Town and we wouldn’t be where we are without them. Another big thank you all working for this foundation. New York, New Jersey and Pennsylvania are the last stations of this trip – a renewed effort to get fundraising in the USA going. It is a tough one, but never give up is here the motto and with some goodwill we will be able to plant some small seeds of compassion on the other side of the ocean. Press your thumbs and if you know somebody in that area to approach – please let me know. I am delighted to meet new people.